De tudo um pouco longe do mar e longe das origens. O tema sugerido desta vez foram materiais que podem ser encntrados numa drogaria ou loja de ferragens e bricolage. Eu sempre gostei muito das cores de fio de pedreiro que aqui vendem, e assim decidi usar uma rolo na cor laranja. The theme this time were materials found in a hardware store. 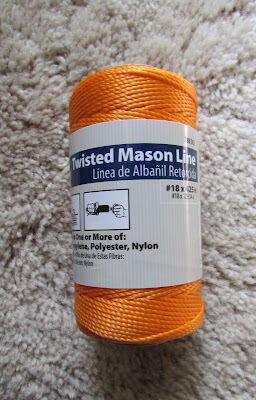 I've always liked the colors of the twisted mason line so I decided to use a roll in orange. 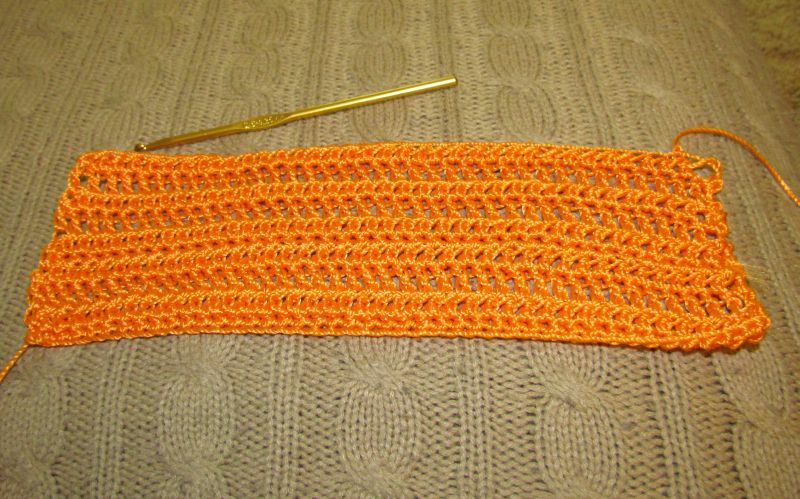 Ainda levei um tempo a decidir o que fazer, mas acabei por fazer um rectangulo longo em crochet. Usei uma agulha tamanho G/6 (4.25 mm). 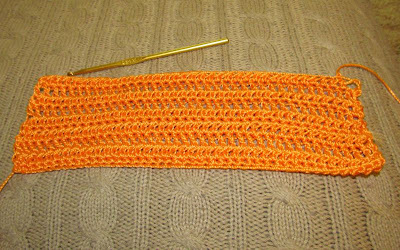 It took me a while deciding what to make but I ended up crocheting a long rectangle. I used a hook size G/6 (4.25 mm). E a seguir dobrei em tres e fiz um esfregao que nao e abrasivo. 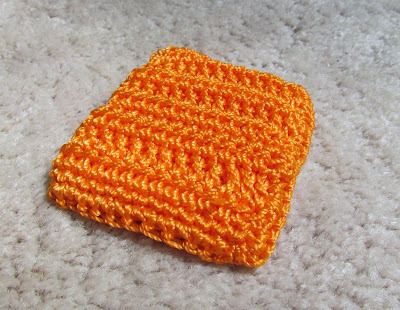 And then I folded it in three parts and made a scrubbie that is not abrasive. Such a great idea. These would make nice homemade stocking stuffers, yes I'm thinking Christmas already. What an awesome challenge, and I'm impressed by your finished scrubber! As fotos que fazem parte deste blog foram tiradas por mim e pertencem-me, a nao ser que devidamente identificadas. Agradeco que nenhuma das imagens seja usada sem a minha autorizacao. Obrigada. All pictures included in this blog belong to me unless otherwise stated. Please do not use any images without my consent. Thank you. Give the gift of Just Add Glitter! You *can* knit with a lightsaber! The Engine 2 Cookbook Review & Giveaway! We are in the Seattle Times. 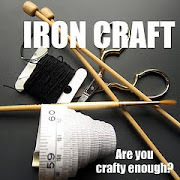 holiday crafting ideas & roundup! Can't believe it is September already!